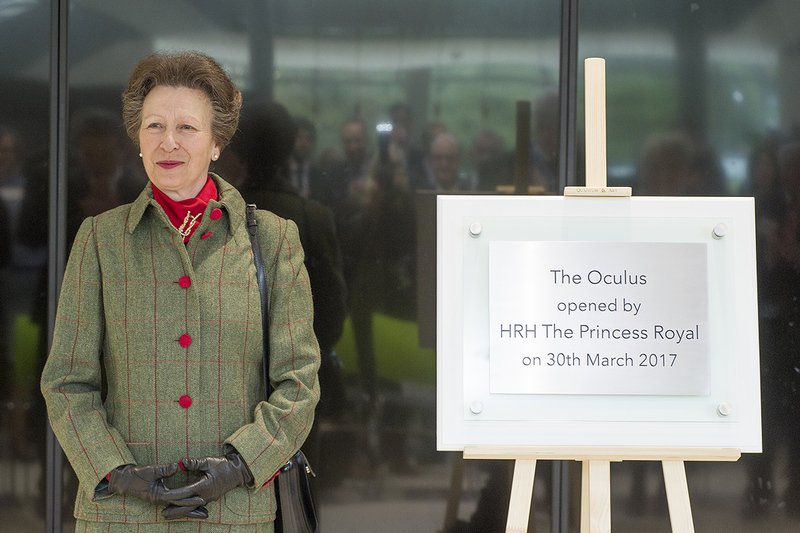 The Oculus, our new building dedicated to teaching, has been officially opened by Her Royal Highness The Princess Royal, who visited the campus on Thursday 30 March and unveiled a plaque in the building. During her visit Her Royal Highness met students, members of the SU sabbatical team and academic teaching staff including Margaret Low and Rachel Dickinson, who last year were named as National Teaching Fellows. HRH was introduced to Professor Gwen Van der Velden, academic director of Warwick International Higher Education Academy. The Princess Royal also met with representatives from Warwick's Institute for Advanced Teaching and Learning. Just this week The Oculus has been nominated for a 2017 Regional Riba Award. Find out more about how The Oculus bulding was designed with the highest educational and environmental priciples in mind. Hear from the team who saw the project from a vision to the reality that it is today. The opening of the Oculus is just one of many recent initiatives to raise the profile of our teaching and learning. We recently undertook a Institutional Teaching and Learning Review, to reflect and consider external advice on how best to enhance the quality of our education provision, as well as the distinctiveness of the student experience. The forthcoming new Arts Faculty building, which will re-unite all Arts Faculty departments under one roof, will become a fantastic space to support teaching, learning and research in the arts, enabling educational creativity and innovation to flourish on campus. The building's close proximity to Warwick Arts Centre, also undergoing a redevelopment, will also further strengthen teaching, learning and performance for the Arts. Currently underway, the review of personal tutoring will ensure that student educational support is appropriate and timely. The review is collating the views of academic departments, Student Staff Liaison Committees, the SU and other student feedback channels, such as the National Student Survey.